Product prices and availability are accurate as of 2019-04-19 10:10:09 UTC and are subject to change. Any price and availability information displayed on http://www.amazon.com/ at the time of purchase will apply to the purchase of this product. ?Always missing an appointment with beautician? ?Still worry about embarrassing nose hair? ?Still annoying frequent use of nose trimmer? ?Still paying high fortune to barber? 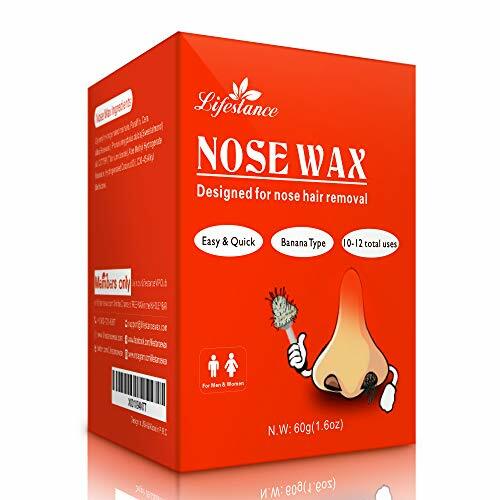 Lifestance nose hair wax kit will safely leave you with a clean, soft and smooth nose for up to 4 weeks in just a few moments, and all from the comfort of your own home.
? 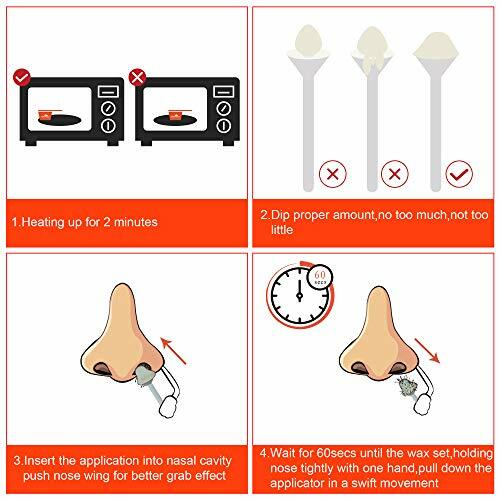 Heat Lifestance Nose Wax in microwave.
? Dip Lifestance nose wax applicator into nose wax. Cover only tip with wax.
? Insert the wax applicator into the nostril. Let the wax cool inside the nostril for 1 minutes.
? Hold the stem of the wax applicator tightly and pull down in one swift movement.
? Discard the wax stick after using. Wood Wax Sticks can be used for eyebrow waxing. 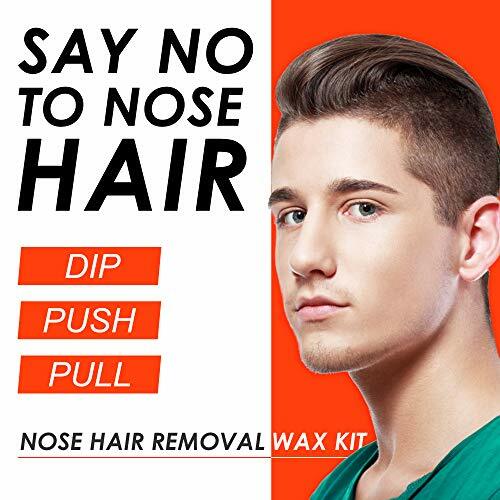 Lifestance specially formulated nose wax is ideal for effective removal of embarrassing & unsightly nose hair. The nose hair removal pullers have been specially designed to ensure they only target the visible nose hairs around the edges of the nostrils, whilst not touching the cilia (very small like hair strands), which are vital for keeping out infections and diseases, and act as a defence in our noses. 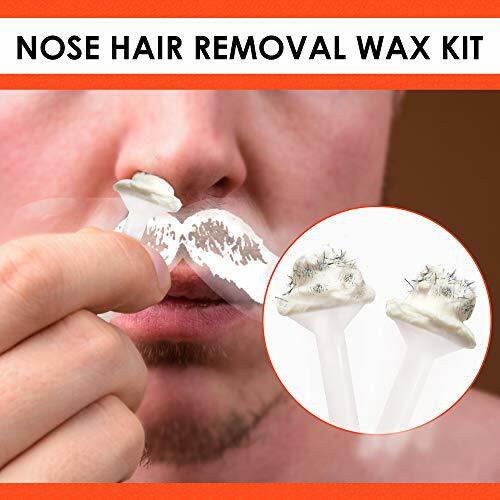 ?SAFE NOSE WAX KIT: Specially designed safe wax applicator allows easy insertion into the nose to target only visible long nose hairs around the edge of the nostrils,whilst not touching the cilia,leaving the important hair deep inside the nose undisturbed. Say goodbye to embarrassing nose hair!!! 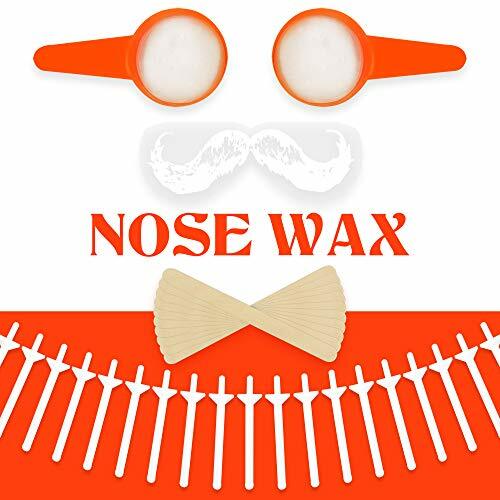 ?WAX KIT CONTAINS: 2 Nose Wax 30grams Each, 20 Single-use Applicator Wax Sticks, 10 Mustache Stencils, 10 Wooden Spatulas,1 Instruction Leaflet. 20 total wax applications to keep you nasal hair free for up to one year. 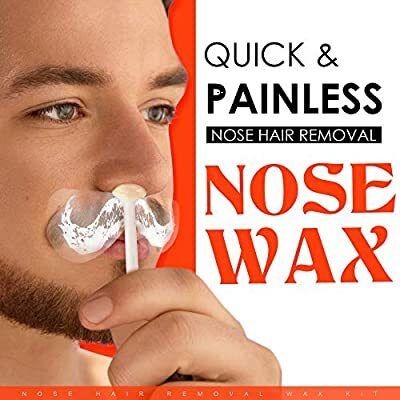 ?PAINLESS EFFECTIVE QUICK: No more fighting with the nose trimmer. No more embarrassing nose hair removal requests to the barber. With Lifestance nose wax,you can eliminate unwanted hair in your nostrils in seconds,leaving nostrils hair free for up to four weeks and all from the comfort of your own home. ?PURE NATURAL WAX: Contains natural ingredients including aloe extracts. Lifestance nose hair removal kit removes nose hair in seconds and leave a month-long lasting effect. The 'nose hair removal pullers' is specifically designed to target the hair around the edge of the nostril, only removing hairs that are sticking out or easily noticed and will not hurt very small like hair strands, which are vital for keeping out infections and diseases. ?WORRY-FREE GUARANTEE - With our 100% RISK-FREE SATISFACTION GUARANTEE on Lifestance nose wax hair removal kit or waxing kit, you have nothing to lose. Our priority is to make sure we provide you a top-quality product that meets and surpasses needs. If for whatever reason you don't love our nose wax kit, let us know within 60 days, and we can give you a full refund or send you a replacement, no questions asked. Buy in confidence.